Wei WuXian raised his brows and took a look at the side of Lan WangJi’s face. He thought, so, apparently this old man meant it for me. He called his best pupil to listen with us in order for me to watch. Wei WuXian couldn’t be more glad, and quickly went out. Wei WuXian thought otherwise. He chuckled, “Who cares if he ignored me? Does he look pretty?” After a thought, he realized that Lan WangJi did look pretty. And so, he happily threw away his desire to twitch his lips. Only after three days, did Wei WuXian finally know of Lan QiRen’s bad habit. As a result of cheating notes flying everywhere in the air, Lan WangJi suddenly attacked during the test, and caught a few initiators of the commotion. Lan QiRen exploded with anger, writing letters to the prominent clans to tell on them. He loathed Wei WuXian—in the beginning, although these disciples could hardly sit still, at least nobody started anything, and their buttocks were able to stick to their legs. 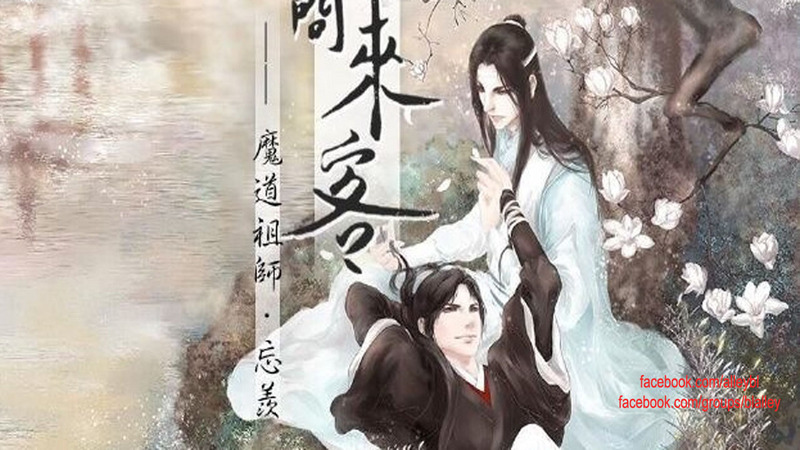 However, now that Wei Ying came, the originally spineless brats were influenced by his encouragement, venturing out at night and drinking alcohol however they pleased. The unhealthy practices grew greater and greater. As he had expected, Wei Ying was one of the biggest threats to humanity! And so, Wei WuXian was punished again. There was one bamboo seat, one wooden desk, two candlesticks, and two people. One sat in a proper position, but, on the other side, Wei WuXian had already copied Conduct for more than ten pages. His head felt dizzy and his heart felt bored, so he dropped his pen to take a breath and looked across. When he was still in Yunmeng, there were a lot of girls who envied that he could come and study with Lan WangJi. They said that each generation was full of nice-looking men, especially the brothers part of the Two Jades in the current generation. Before this, Wei WuXian never had the chance to carefully examine the front of his face. Now that he had a look at it, he started to think random thoughts, He looks quite nice indeed. Yet, if only those girls could come and see him with their own eyes. Looking as bitter as if everyone had offended him or his parents died, it wouldn’t matter no matter how nice his face looks. Wei WuXian rarely kept his mouth shut for such a long amount of time. Feeling suffocated, he thought, I have to sit in front of such a stuffy person for so many hours each day, for a month. Would I even survive? At this point of thought, he couldn’t help but slightly tilted his body forward.